Our Petroleum Services division offers cloud based dispatching and record keeping allowing TEC to respond to your fueling system service needs with the correct resources in a timely manner. Our service technicians are certified in Fuel Management Systems (EJ Ward, Fuel Master, Gasboy, MultiForce, PetroVend and GIR) and Tank Monitoring Systems (Veeder Root, Omntec, Incon, and Pneumercator), and help keep our clients in regulatory compliance. Read More About Our Services Below Or Contact Us For More Information. Most petroleum services involve maintenance work and other types of scheduled servicing. But, this isn’t always possible. Things happen and there are emergencies that demand immediate responses and quick repairs. With our 24-hour emergency response services, you can count on us to be there when you need immediate attention. A containment sump acts as a barrier between the fuel tank components and the environment, including soil and groundwater. Containment sump leaks are often the result of poor installation or deteriorating components such as the sump, dispenser pan and spill bucket. Regular maintenance of containment sumps and automatic tank gauging (ATG) system alarms are thus needed to identify leaks and make repairs before environmental contamination can occur. Furthermore, testing ensures containment sumps are in compliance with government regulations, and reduces cost by preventing additional loss of fuel. A modern fuel management system (FMS) automates all aspects of fuel management, including the procurement, management and sale of bulk fuel. Specific capabilities of an FMS include a variety of specific functions such as inventory management, fulfillment, demand forecasting and environmental compliance. The general benefit of FMS is to lower the overall cost of fuel management by allowing sales and procurement managers to maximize fuel margins, optimize inventory and centralize supply contracts. Additional benefits of FMS include the reconciliation of deliveries, invoices and payments. Local and federal laws require regular inspections of both underground storage tanks (USTs) and above ground storage tanks (ASTs). TEC can customize inspection plans as needed and store all data electronically. UST compliance inspections are generally intended to detect fuel leaks before they occur. In addition to the tank itself, these inspections cover specific equipment such as cathodic protection equipment, alarms and sumps. AST compliance inspections assess the overall condition of the containment structure, including components such as dispenser pans, hoses, nozzles, spill containers and vents. TEC also repairs USTs and ASTs when inspections determine them to be faulty. Our team of trained professionals is qualified to perform any procedures needed to get these tanks back into compliance. Some of the most common repairs include replacing a hose or breakaway, while troubleshooting and repairing an electrical problem can be a more challenging procedure. We also install fuel tanks when repair isn’t possible or practical, including the removal and closure of out-of-service tanks. The fuel in generator supply tanks and day tanks poses additional maintenance concerns since it isn’t typically consumed on a regular basis. Diesel fuel itself is an organic chemical, so it’s subject to normal degradation over time. Furthermore, the long periods of storage can allow the growth of algae and rust, especially when the fuel contains water. Fuel can contain all of these contaminants, even when the tank has a fuel filter. Generator supply tanks and day tanks should typically be tested for contaminants annually and the fuel polished if they’re detected. Fuel polishing generally consists of removing the fuel from the tank and filtering it before placing it back in the tank. The tank may also need to be cleaned during this period, which involves scrubbing the interior of the tank to remove rust and algae. Electronic tank monitoring systems (ETMS) allow users to monitor fuel levels remotely, thus increasing operational efficiency by saving time, revenue and manpower. They can use a variety of devices, including virtually any type of phone such as cell phones, landline phones and satellite phones. ETMS can also use internet devices with many communication protocols, including Ethernet, serial/RS-232 and WiFi. ETMS typically include local displays and alarms. Diesel fuel will eventually degrade, even under ideal conditions. However, factors such as heat, oxygen and moisture can accelerate this process, necessitating the filtration of fuel before use. Fuel filtration systems consist of several major components, including installation, sampling and quality standards. The installation of these systems has a major effect on the difficulty of keeping fuel clean. Regular sampling and analysis of fuel is also of critical importance for ensuring fuel quality. Facilities also need to set quality standards for fuel, including a warning level and activity level for each type of fuel contaminant. These contaminants primarily include water, microorganisms and solid particles. TEC is an authorized supplier for major brands of fuel dispensing equipment, including Bennett, Fuel Master and Simplex. We sell complete units in addition to components such as hydraulics, metering, hoses and nozzles. Hydraulic components include rotary pumps that draw fuel from a storage tank and solenoid valves that prevent the fuel from flowing back to the tank. An electric motor is also needed to maintain a partial vacuum between the tank and rotary pump. The metering unit of modern fuel dispensers consists of pistons and encoders to measure the volume of dispensed fuel. The EPA has established training requirements for the operators of USTs, which are classified into three categories. Class A is the highest level of UST operators, who are required to make informed decisions regarding the regulatory compliance of USTs. Class B operators must be able to implement these requirements, while Class C operators must be able to respond to UST emergencies. Current operators must complete their training by October 13, 2018, and new operators must complete their training before assuming their duties. 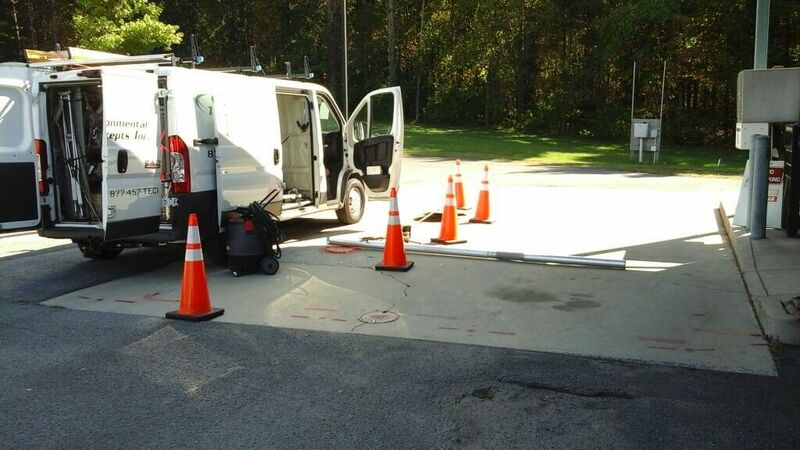 Maryland, Virginia and the District of Columbia have approved Total Environmental Concepts to provide UST operators with their required training. For more information or questions about any of these services, call us at (877) 457-TECI or contact us online.